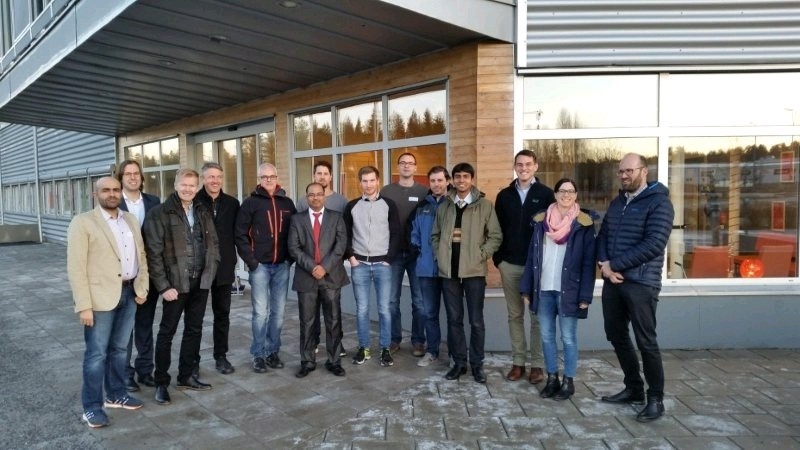 The 15-17 of November the 6:th OPTi face-to-face meeting was held at Luleå Energy´s office in Luleå. During the meeting there were representatives from all partners either in Luleå or at web link. The main focus of this meeting were the reviewers recommendations on the previous deliverables, working with KPI:s and the integration of individual results. Thanks to everyone for the good time during these days! Figur 1: Representatives from the OPTi team outside Luleå Energy´s office building.